athenahealth - Hereva Consultants Inc. 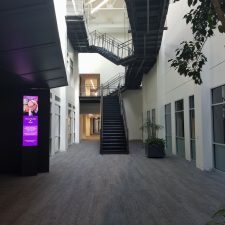 Starting in 2015, athenahealth had a vision for linking the many separate areas within the expansive 311 Arsenal Street building in Watertown. 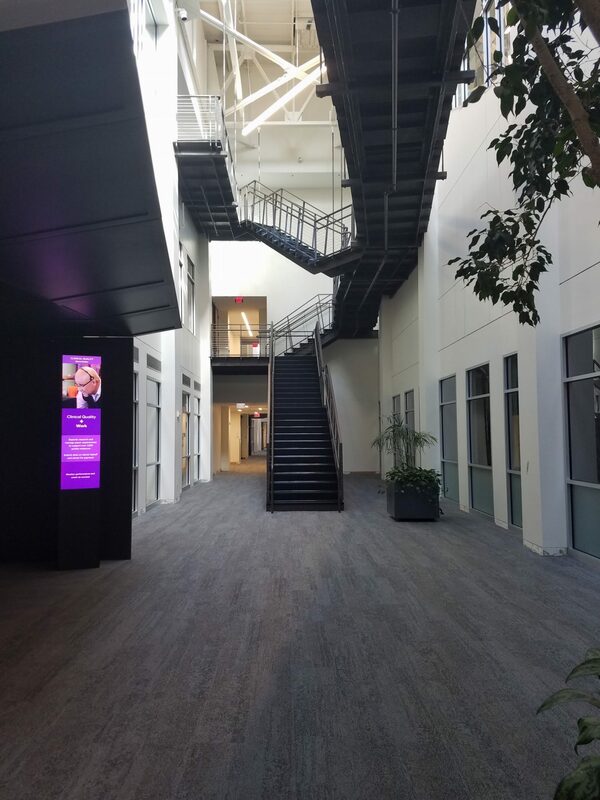 Previously used as a multi-tenant site, athenahealth has become the first single tenant in the building since its original use as an arsenal during the early 20th century. 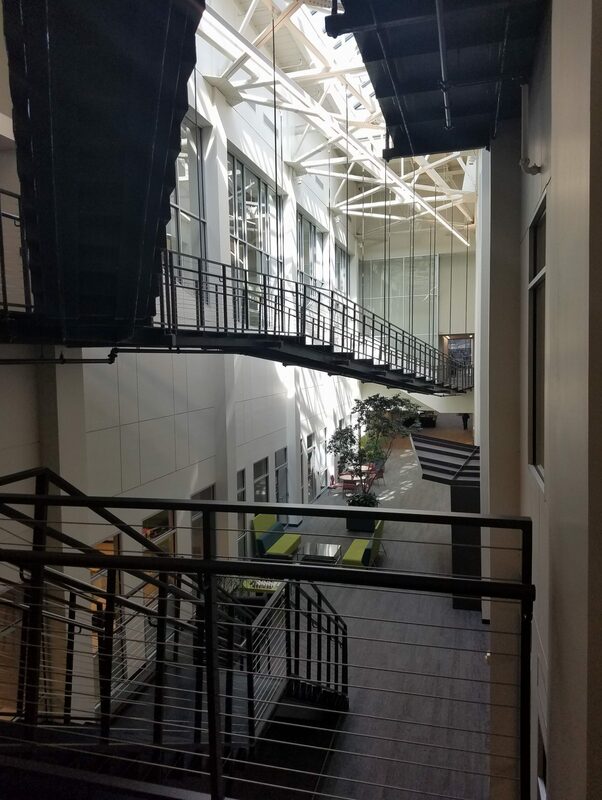 This flagship building on a 29 acre campus has a central atrium and workspaces on multiple levels on both sides of the atrium. 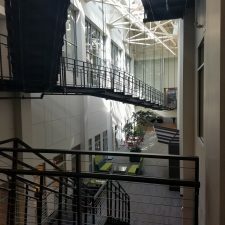 The various changes in elevations and circuitous routes for getting around the building made it inefficient for staff and caused separation between departments. The Spine Project was an innovative and challenging approach to creating a central pathway through the building. 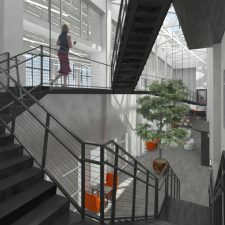 The elevated steel walkway now interconnects on many levels and offers convenient access for all employees, fosters a sense of community and allows for organic corridor conversations which previously were not possible. 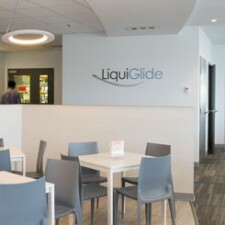 In addition, this element ties strongly into athenahealth’s vision for the company as one that enhances employee engagement and provides a backbone to health services in the community. 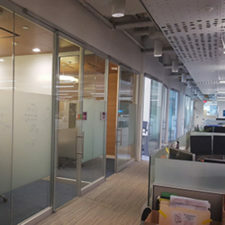 The ambitious project was designed at one time and built in two phases over the course of six months, with all work performed off hours in this fully occupied space. athenahealth partners with hospital and ambulatory clients to drive clinical and financial results. They offer medical record, revenue cycle, patient engagement, care coordination, and population health services. They combine insights from our network of 88,000 providers and 86 million patients with deep industry knowledge and perform administrative work at scale. 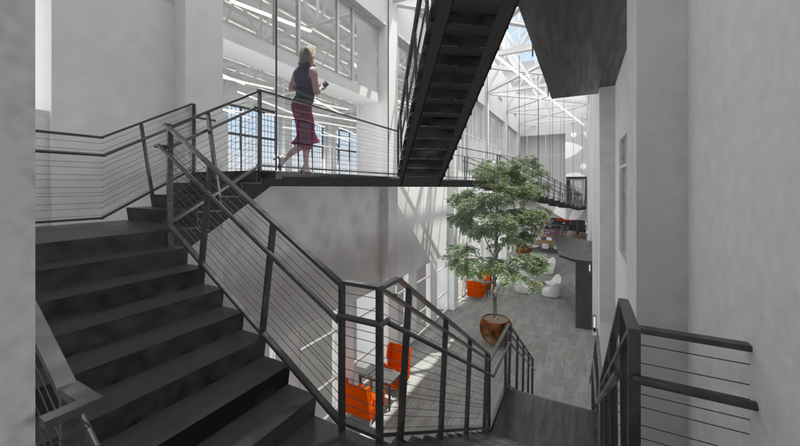 For more information about athenahealth’s Watertown Campus, click here.